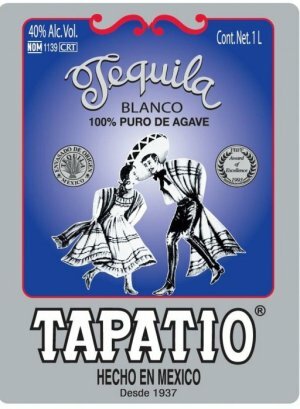 Tequila aficionados, especially those who have made the trek to Mexico’s legendary Altena Distillery, will be pleased to learn that the full collection (Blanco, Anejo and Reposado) of Master Distiller Carlos Camarena’s 75-year old brand, Tapatio, is now available in the United States for the first time. 'Tapatio' means "someone from Guadalajara." (No relation to the hot sauce.) Since 1937, the Carlos Camarena Family has been distilling 100% estate-grown blue agaves from the Arandas highlands. Through the family’s use of Old-World methods and small-batch distillation that date back to the 1800’s, Tapatio sets the bar for the classic quality and flavor of tequila that is disappearing in modern Tequilas. "Everything is made by hand (and by heart) so we can control the quality of the final product in this process," explains Master Distiller Carlos Camarena. Under Carlos’ careful watch, the agaves are hand-selected for ripeness and slow-baked for four days. 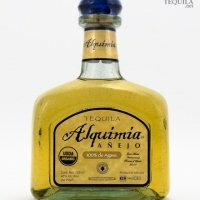 After being gently crushed, the agave ‘Mosto’ is fermented in small wooden fermenters using their proprietary 75 year-old yeast culture. The 'Mosto Muerte' is then double-distilled in small (90-250 gallon) Alambiques Tequilano copper pot stills. Tapatio Blanco is aged for 6 months in stainless steel. Suggested retail is $34 (1 liter bottle). Tapatio Reposado is aged for approximately 8 months in oak barrels to bring in a hint of sweetness from the wood, without overpowering the spicy agave flavor. Suggested retail is $38 (1 liter bottle). Tapatio Añejo is aged around 18 months in first-fill ex-Bourbon casks. Suggested retail is $44 (1 liter bottle). Charbay Distillers is the exclusive US importer. Charbay is owned and operated by the Karakasevic family. Founder, 12th generation Winemaker & Grand Master Distiller Miles Karakasevic, and his son, Marko, produce award-winning small-batch spirits distilled in their classical Alambic Charentais Pot Still including whiskey, brandy, rum and grappa, along with whole, fresh-fruit flavored vodkas. The family also produces wines, aperitifs, liqueurs and ports made with selections of their 30-year-old library of brandies. Still House tours of their Napa Valley winery are available by appointment. Call 707-963-9327. Glad to see this brand available in the US! Now I don't have to travel all the way to MX to get some Tapatio.